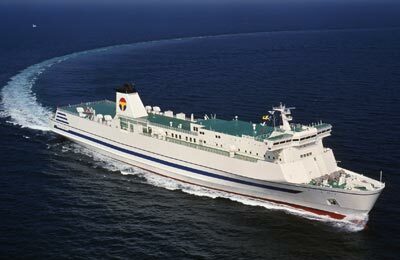 Ocean Tokyu operates ferry services between Japan. You can compare prices and times for Ocean Tokyu and find the latest special offers to help you get the best deal. With Ocean Tokyu, you can book ferries to Kitakyushu, Tokushima/Higashiokinosu, and Tokyo. The most popular crossing is Tokushima/Higashiokinosu to Tokyo in Japan with 6 crossings weekly. Departures are available between 11:30am and 12:10pm. Ocean Tokyu operates two standard ferries and two casual ferries. The East Ocean and the West Ocean are the names of the two standard ferries. Both of these modern ferries can carry up to 401 passengers , trucks and up to 75 cars. These ferries have comfortable seating and a wide range of cabins including luxury mezzanine suites with en-suite facilities. As well as various vending machines serving food and drink whenever you want, lunch and dinner are also served on board. As well as two standard ferries, Ocean Tokyu also operate two casual ferries with less cabin options but both capable of holding up to 148 passengers. 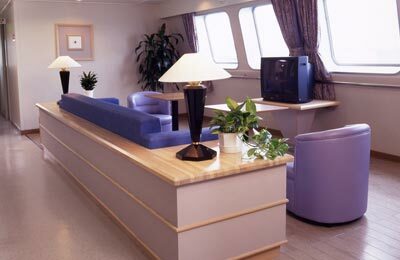 These ferries provide plenty of space and seating with vending machines for drinks and snacks at any time of the day. You even have the opportunity to enjoy a bath on board where you'll feel like you are swimming in the ocean. 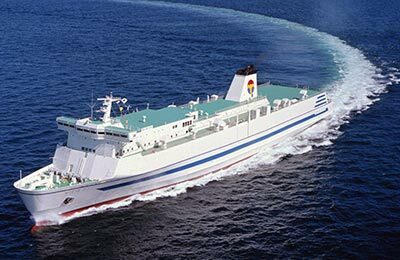 Whatever journey you take with this well known Japanese ferry company, it is sure to plain sailing. How long before departure should I arrive for Ocean Tokyu?